What a joy it was to be at the club on Sunday morning. After months of preparation we had football teams on the oval playing football, coaches on the side line giving directions, parents on the hill offering support and smiles all around. The club administration has been getting me down a bit lately, but to see that kids smiles as they came from the ground and to hear the club song was a joy. Welcome back everyone and good luck next week when the real games begin. Play with cougars spirit and have fun. I am really proud that we have managed great numbers across the board. As a committee we have focused strongly this year on getting balanced team numbers across out senior teams and with the support of players and parents we have actively moved around players between age groups with some great results, especially in the boys teams. We now have full lists in our U15 Boys, U14 Boys, U13 Mixed and U12 Mixed teams. We have strong numbers with all other teams but could do with some more, especially in the U16 and U18 Girls and the U9 and U10 mixed teams. If you know any older girls or younger girls or boys get them down to Wednesday night training so they can join in the fun. Fielding an U18 Girls team is a significant commitment by the club to provide football through players entire junior football careers and this team is coached by one of our most experienced coaches, Steve Harford. It is a hard age bracket to find players, because lives are very full these days. All clubs struggle at this age group. So achieving an U18 team in our girls program so few years after it started is a huge signal that we are doing is working. But we need more players to keep the momentum going. So I ask all of you to actively seek out and introduce senior girls to our club so we can support those we already have on our list. We do not yet have an U18 boys team, but we are progressing towards that as well. 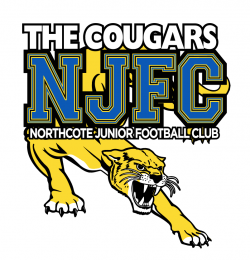 Initially we did not have sufficient numbers for an U15 boys side, so we engaged with a number of clubs and we are very proud to field a combined Northcote Cougars / Reservoir Colts U15 boys team this year. Without this collaboration both clubs would not have fielded an under 15 team, but together we have about 15 committed players who just want to play footy. We are still working through the logistics of a combined team but everyone is really positive. Personally I am looking forward to our players proudly running out in Colts Jumpers at away games and Colts Players wearing the cougars colours at home games. This will be a fantastic demonstration of what can be achieved when community clubs work together and put their players first. It also proves that players value playing for community clubs like ours and want to keep playing with us through all of their junior football. The club remains committed to doing everything possible so that we can make this a reality.